Something I always want to do more of is plein air painting. 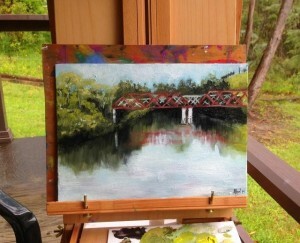 I’ve done my share of outdoor painting and sketching over the last 20 years or so but this summer I was given a proper plein air easel so I managed a few more sessions than usual. 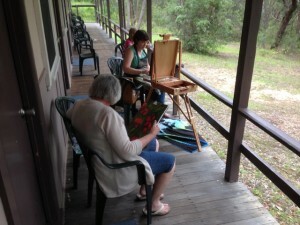 Besides the easel, I had great company, my Mum was staying with us for a while so we had the opportunity to paint together. 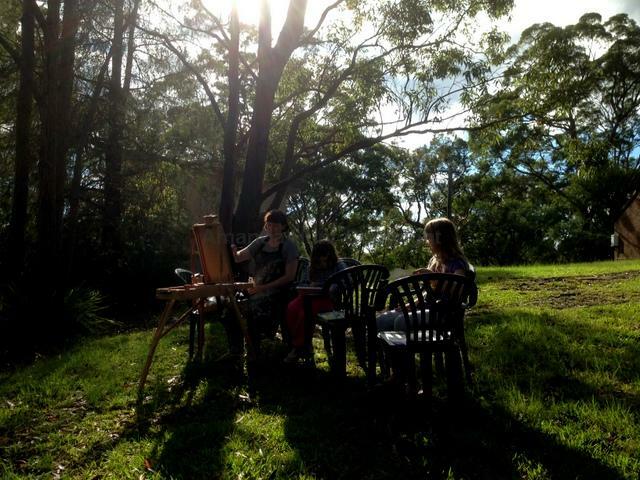 I managed about five outdoor painting session, some of which I was joined by my daughters which was really lovely. 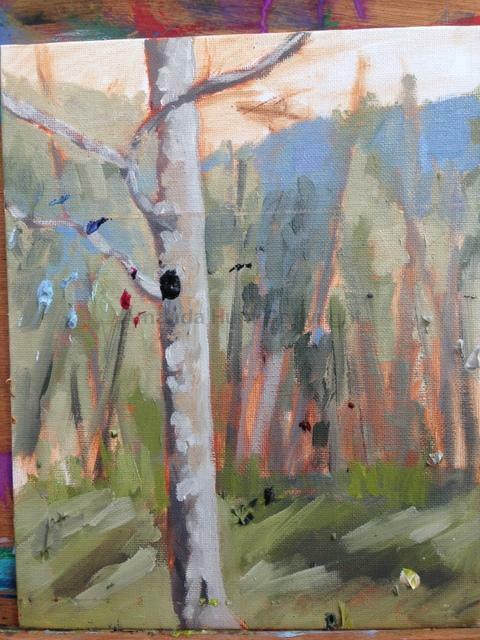 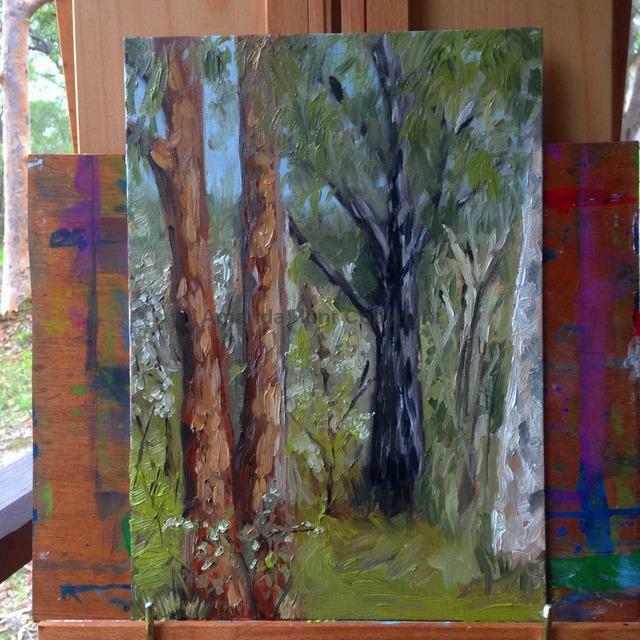 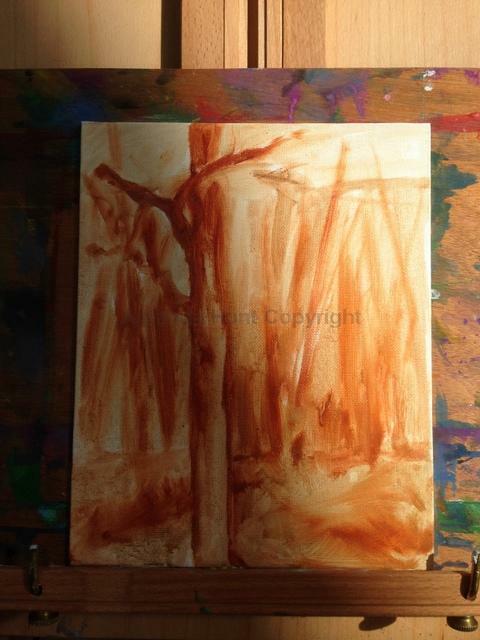 Mum and I painted at Clarence Town in the Hunter Valley and in the Blue Mountains. 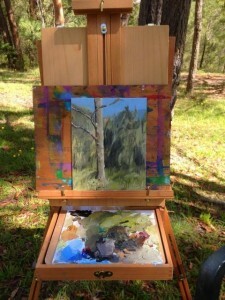 Before going on our holidays I had prepared a rough plein air kit but didn’t have time to do the usual thing of making it more transportable so I was relieved when things became easier with the proper easel and all that comes with it. 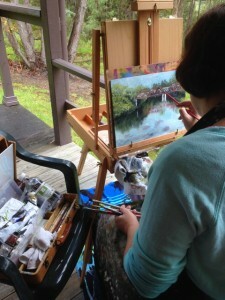 Here are the results and a few ‘action shots’. 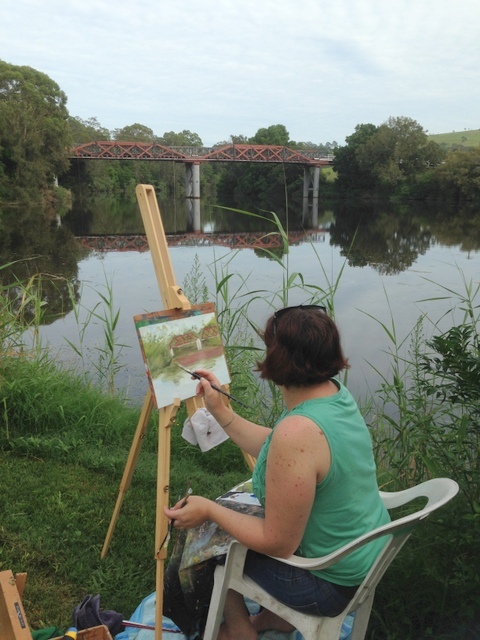 Painting one was of the bridge near the caravan park we stayed in Clarence Town. This was done in two sessions as I ran out of time. 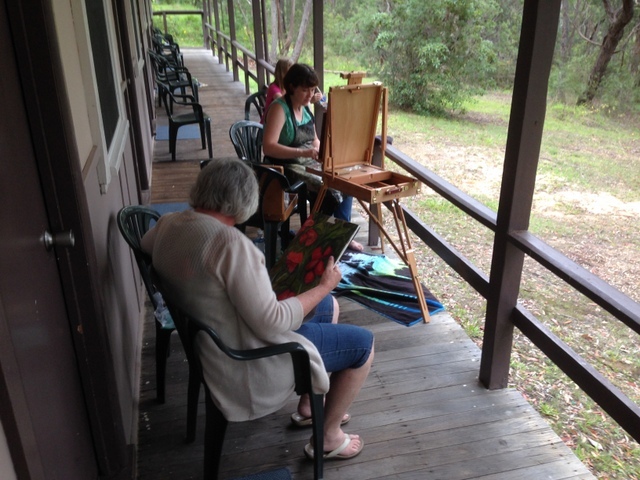 You can also see the change of easel between the sessions in the photos. Painting two was painted while in the Blue Mountains. As you can see there were three of us painting together in that session. 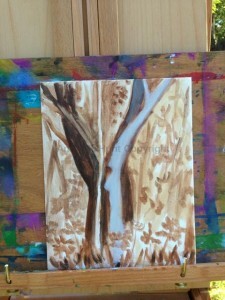 So nice to paint together! 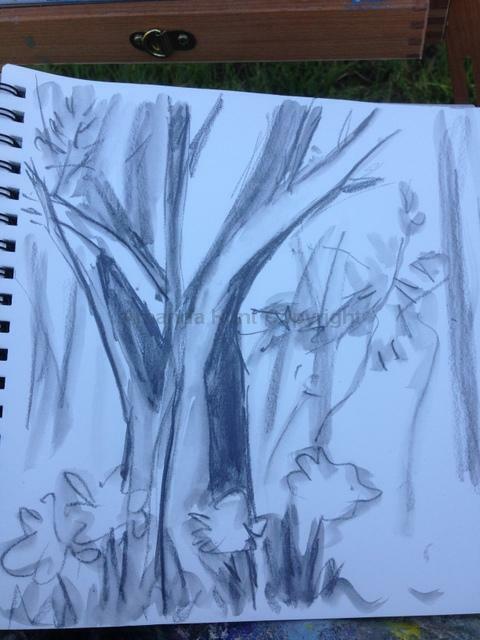 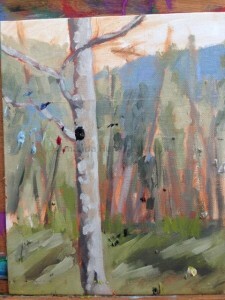 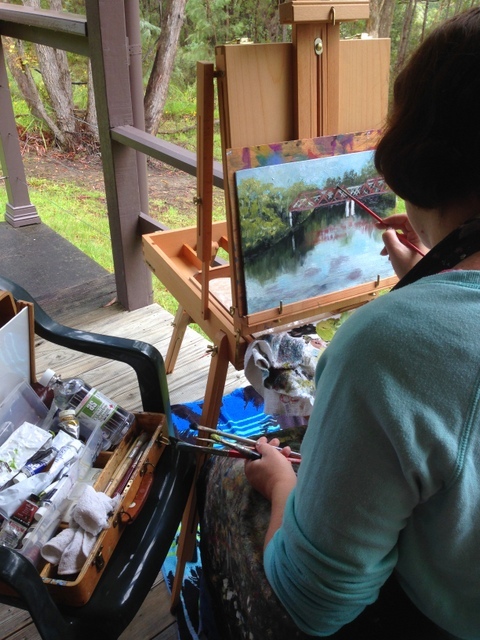 I plan some purposeful plein air sessions this year starting in my own backyard. I’m glad we got to spend part of our holiday doing this and am very grateful that my family are interested in art too!